Amman, March 20, 2016 — Royal Jordanian will start operating its new regular route to the Chinese city of Guangzhou on March 21, 2016 with three weekly flights. The frequency of the flights will be increased to meet future passenger demand. Guangzhou will be RJ’s second Chinese destination and the fifth in the Far East. The others are: Hong Kong, Bangkok, Kuala Lumpur and Jakarta. Flights to Guangzhou, China’s third largest city and the largest in the south-central region of the country, are bound to serve the active trade and commerce traffic between Jordan and China. In 2014, Guangzhou Baiyun International Airport was China’s second busiest and the world’s 16th busiest airport in terms of passenger traffic; it handled over 55 million passengers that year. 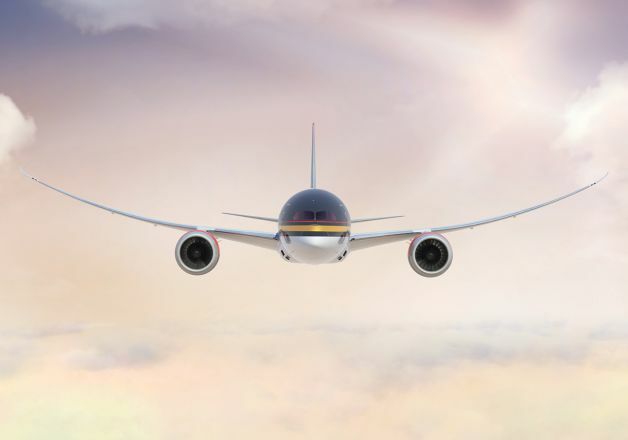 Royal Jordanian President/ CEO Captain Suleiman Obeidat said that adding Guangzhou to the route network is in line with the strategy that RJ is now implementing; one of the pillars of this strategy is to review the route network and open new, profitable markets. He highlighted that Guangzhou, the 56th destination on the RJ network, will be an added value to the network, meeting the demand of tourists and businessmen in the two countries, as well as of tradesmen from different neighboring countries, such as Lebanon, Egypt, Saudi Arabia, Iraq and Palestine, especially since Guangzhou serves as a significant national transportation hub and trading port. Obeidat also said that Guangzhou offers a great opening to the tourism potential, enabling both Chinese and Jordanian tourists to visit. Guangzhou is well known for its ancient civilization and exquisite nature, and Jordan boasts distinguished archaeological sites that exert a great attraction on tourists. RJ will run flights to Guangzhou via Bangkok on Mondays, Wednesdays and Fridays, using its wide-body Boeing 787 or Airbus 330 aircraft. RJ customers may book their flights at any of the company’s sales offices or agents in Jordan, China and worldwide, through the airline’s booking engine at www.rj.com, through the RJ application on smart phones or by contacting the RJ call center at +962 6 5100000.